An incident happened recently, which in my eyes, made Brussels truly live up to its reputation as one of Europe’s most crime-ridden cities. My fiancé and I decided to go to the northern part of the city to do some shopping, and later we went to a cafe. While sitting al fresco, absorbing the unseasonably warm weather, we observed a group of Japanese businessmen be pounced on by pickpockets. Luckily they did not score any success, but just ten minutes later, another tourist, from Brazil, who had innocently stepped out from his hotel, was again targeted by the same men, who brazenly worked to rip a gold chain from around his neck. The furore lasted a few minutes, and nobody intervened, or tried to help. Eventually someone plucked up the courage to chase after the thugs, but it was to no avail, as the culprits managed to run straight into the metro station, which runs on a ridiculous honour-system. It is up to the customer to buy a ticket, which means no barriers to pass through. This works a charm if you are a criminal trying to run from your misdeeds. The shocked tourist managed to get his chain back, but for the entire time we witnessed these two events, no police showed up, and more and more it seems that in Brussels, criminals can operate with impunity. Brussels is paralyzed by a scarcity of investment and heaves under the strain of multi-layered, but ineffectual bureaucracy. Civic pride is thin on the ground. You would never suspect that it was the capital of Europe, a place that attracts thousands of supposedly the smartest and capable Europeans to work in its confines. There are of course hints of Brussels’ yesteryear, from the art deco jazz clubs to the crumbling elegance of the old city and the Grand Place, but not much else. It remains to be seen when it will once again inspire the dreams of its residents. The Middle East is full of some of the most majestic and historic cities on earth. The list is too long to mention, but history shows that, where there were once great cities, social factors can irreparably change their landscape. 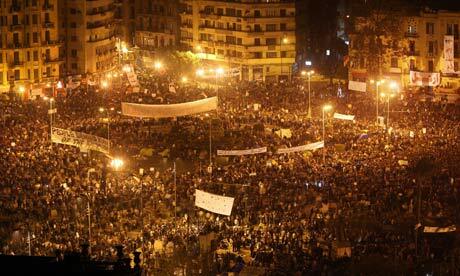 Cairo, also known as “the victorious” is a city, which is never out of the news these days. The streets of Egypt’s capital throng with people who dream of nothing else but true democracy, but for over sixty years, had to live in a country that saw the powers that be, literally strip away at its once prosperous warm underbelly. Napoleon called Egypt “the most important country”, because of its access to the Africa and the rest of the Middle East. During the first half of the 20th century, before the Free Officers’ Movement under Gamal Abdel Nasser deposed the monarch King Farouq, Cairo was the cosmopolitan city du jour, which attracted all manner of people. The cognoscenti came to explore the Pyramids and tombs of the pharaohs. Couples honeymooned on the Nile, as they still do, and whether you were Muslim, Christian or Jew, it did not matter, because Cairo could contain them all. Literature and ideas flourished, and decadence was served in ladles. However after 1952, many things changed. The writer Andre Aciman, a Turkish-Jew who grew up in Egypt, witnessed the enormous changes that took place under Nasser. His life would turn into a gold-fish bowl, as non-Egyptians; especially Jews were viewed with suspicion. Touted as a hero for the Arab world, Nasser in the 1950s promised that he would quickly do away with military rule and make a transition to civilian rule. Nothing was to come of it, and instead, the regime made quick work to silence its critics, execute dissenters and stifle free expression. The police ensured that nobody forgot who was in charge; something that to this very this day is hard to break. When elections were first held, miraculously, Nasser somehow managed to achieve 99.9% of the vote. The country took on a decidedly sectarian flavour, Coptic Christians, while making up 10% of the population were marginalized within the government and rarely did they achieve senior positions. On the other hand, Cairo gained a reputation as the Arab world’s cultural capital. The government downplayed Egypt’s Pharaonic past, and instead made an effort to promote the Arabic language, Islam and the country’s connection to the rest of the region. The voice of Um Khaltoum became Egypt’s soundtrack, but symbols of Cairo’s imperialist past, which included certain bars, cabarets and hotels, were targeted, and many foreign-owned businesses were expropriated. Nasser worked fast to nationalize the economy, and from a distance the United States watched with alarm as Nasser moved closer to the Soviet Union. He also worked on confronting the nascent state of Israel. The war in 1967 came as a serious blow, from which Nasser would never recover. His successor Anwar al-Sadat made some success in liberalizing the economy, which was helped by the introduction of financial aid from the United States. He wanted to connect the country to the world economy through his “open door” policy or infitah, and make Cairo the leading financial centre of the Middle East. Yet paranoia set in after Sadat’s assassination by Gamaa Islamiyya in 1981. President Hosni Mubarak made sure the police were the eyes and ears of the regime. He did not take a single ambitious step that could see him in trouble. It was a case of “more of the same” and then some. During the 1980s, the Egyptian capital became crowded with men and women coming to eek out a living, since traditional agricultural pursuits became impossible, often due to limited water resources. The population of the country from 1980 to 2000 almost doubled from 45 to 80 million. Today people complain of housing shortages, poor job prospects and inflation. The cost of bread and everyday essentials suffer from enormous price fluctuations. The average income is just $2 dollars or less. This is on top of health concerns due to pollution caused by exhaust pipes and industrial waste. Parts of the city itself do not have proper running water. However what is most alarming is the city’s education institutions have floundered. Thirty percent of the population cannot read or write. Robyn Wright also notes in her book “Dreams and Shadows”, that the once great University of Cairo has dropped to 28th place in Africa, and is no longer in the top 500 in the world. Although life was and is very different for those former loyal party members, and individuals linked to the regime. The National Democratic Party had an estimated million members, and many took advantage of the political clout at their disposal, and lined their pockets. Anyone with wealth moved out to the planned developments or gated community towns on the periphery. The sites offer luxury accommodation, golf courses and shopping malls, while other Cairenes are confined to living in slum Soviet-style apartment blocks; living on the sustenance of bread and fava beans, with poor waste and garbage facilities. Therefore it was not a surprise to anyone that the decades of economic mismanagement and autocratic rule pushed the Egyptian people, but especially the people of Cairo onto the streets, and into Tahrir Square. A place that is surrounded by the edifices built after Egypt achieved independence and is the centre of Egypt’s cultural heritage and history. It will now always be remembered as the site that truly set off the Arab Spring. Hopefully this city can turn a chapter, and once again Cairo will rise up, clear away the dust and debris, and the physical signs of the cork screw dive to poverty that symbolised sixty years of authoritarian rule. It is up to its people to rediscover a thirst for knowledge and achieve a sense of individual freedom. It will be interesting to watch and speculate who will be next to bend and shape this ancient capital, and make an imprint that will be discussed and tinged with nostalgia for years to come. Previous Post Don’t Do Dagestan!